SAN DIEGO—Entries from all across the United States and around the world continue to pour in prior to Tuesday night’s live starting position drawing for the upcoming 46th annual Tecate SCORE Baja 500. 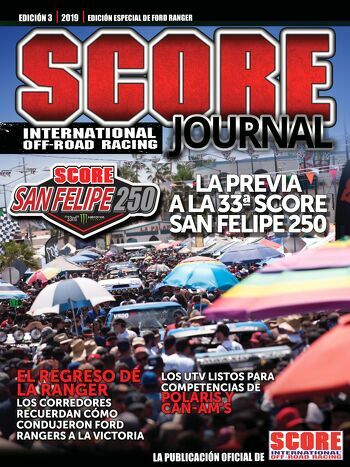 Round 3 of the 2014 SCORE World Desert Championship will be held June 5-June 8 in Mexico’s Baja California Norte, starting and finishing in Ensenada, the seaside port on the Pacific Ocean, 80 miles south of San Diego. SCORE is celebrating its 41st year as the world’s foremost desert racing organization in 2014 and this race is traditionally one of the most popular events on the SCORE schedule. Most the world’s best desert racers will be in action at this year’s 46th anniversary of the Tecate SCORE Baja 500, the original desert race produced by SCORE on July 26, 1974. It is an elapsed-time race with staggered starts as the green flag on Saturday (June 7) will drop first for the motorcycles and ATVs at 6 a.m. and approximately 10:30 a.m. for the cars, trucks and UTVs. With nearly 300 entries competing in 35 Pro and 6 Sportsman classes for cars, trucks, UTVs, motorcycles and ATVs expected at the start line on Saturday, June 7, entries to date have come from 16 U.S. States along with Austria, Denmark, Germany, Japan and Mexico. The race will be televised on a delayed basis in the USA and Canada as a one-hour special on the CBS Sports Network. The show, being produced by SoCal’s acclaimed BCII TV, will air twice on the CBS Sports Spectacular show with the initial airing at 9 p.m. ET on Sunday, July 20, 2014. Following the CBS Sports Network telecasts, the Tecate SCORE Baja 500 show will air worldwide in over 100 countries through international distribution. Tuesday’s start draw will be held at the SCORE Tech Shop in El Cajon, Calif. and webcast live via the weekly SCORE Dirt LiveHD Internet show with host George Antill. SCORE’s corporate headquarters are located in Reno, Nev.
During the 19th episode of the 2014 SCORE Dirt LiveHD season the official course map for this year’ Tecate SCORE Baja 500 will also be unveiled. On Thursday, June 5 qualifying for starting positions will be held. Qualifying will be for both the SCORE Trophy Truck and the unlimited Class 1 and will be held over a special course near Ensenada and is not open to the public. Tuesday’s live drawing for these two classes will determine their qualifying order for June 15. Qualifying is closed to the public because of safety concerns.Taped highlights of qualifying will be shown starting Thursday evening (June 5) on the SCORE website. Online registration, with classes grouped into four Pro and two Sportsman levels is ongoing through the SCORE website. In order to be included in the start drawing, entries must be received with full payment by Noon on Tuesday, May 13. Questions regarding SCORE racer registration should be directed to Brianne Tengwall at 775.852.8900. Official entries received after the drawing will be given the next available starting position within their respective classes. Late entries received after June 2 or registering on-site will be assessed a $200 late fee. The race will feature a course of approximately 500 miles that includes some new or seldom-used areas. SCORE has also announced the pre-running on the race course will begin officially on Saturday, May 24, except for the portion from the start to Ojos Negros (approximately 40 miles), which will be used in both directions during the race. After Ojos Negros, the course will run in a counterclockwise direction. When finalized by Norman and SCORE Race Director Jose Grijalva, the historic race course will be another memorable example of all that Mexico’s Baja California has to offer, including high-speed dirt trails, sandy, rocky and silty natural terrain, majestic Baja washes and canyons, stretches along the seashore with elevations from sea level to over 4,000 feet. The course will be another jewel reflecting the stark beauty of Baja California. The course will be presented for the first time on the SCORE Dirt LiveHD Internet show on Tuesday as well. Friday, June 6 will see the day-long, pre-race Manufacturer’s Midway and contingency festival in the start finish line area in Ensenada. On Friday evening (June 6), the Monster Energy Papas Y Beer SCORE Street Party will be held from 7 p.m. to Midnight on Avenida Ruiz in downtown Ensenada. 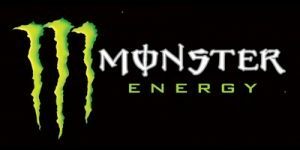 During the race on Saturday, June 7 the Monster Energy SCORE VIP hospitality area, will be part of the start/finish line compound. The area will also include the massive SCOREvision LED screen broadcasting race festivities and start and finish line interviews. All of the week’s festivities will be aired both live and same-day including the race, on the SCORE Dirt LiveHD race week shows, airing via the internet on the SCORE website. The Riviera del Pacifico Cultural Center, in the heart of Ensenada, will again be the site of many of the activities surrounding the Tecate SCORE Baja 500. 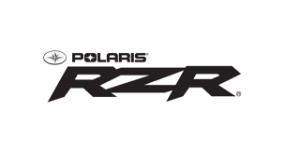 Racer registration and Media registration will be held in the Red room at the Riviera on Thursday, Friday and Saturday (May 30-31, June 1) and the SCORE Media Center will be in the Red room during the race with internet access and live race updates including unofficial elapsed times. In the Cathedral Room at the Riviera will be pre-race media conference as well as the mandatory pre-race racer’s meeting on Friday (June 6). The post-race awards celebration will be in the outdoor Riviera amphitheater at noon on Sunday (June 8). The start/finish line for the race will once again be adjacent to the Riviera del Pacifico Cultural Center as well. With viewers in over 100 countries, SCORE Dirt LiveHD will present live internet streaming from the event from pre-green to post-checker. Coverage will include live start and finish line interviews as well as live coverage from the many ancillary events tied to the race. On race day, live satellite tracking of all vehicles in the race will also be broadcast through the SCORE International website. This year’s Tecate SCORE Baja 500 has been identified as a qualifying race for special entry packages into the 2015 Dakar Rally in South America. Winners in car and truck classes will come from SCORE Trophy Truck, Class 1 and Class 10 along with another winning entry from Pro motorcycles (all with time adjustments). 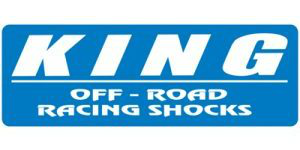 Complete regulations and other information on Dakar Challenge 2014 are available at http://score-international.com/2014-dakar-challenge/. The Tecate SCORE Baja 500 is one of the top motorsports events in the world. It was started originally in 1969 by the NORRA organization. Mickey Thompson and his SCORE International organization were asked by Mexican government to take over the event in 1974. Sal Fish ran and later owned and produced the Tecate SCORE Baja 500 for 39 years until he sold SCORE to Roger Norman in December of 2012. Ensenada has been the heart and soul of the Tecate SCORE Baja 500 as the popular summertime race. This year will mark the 41st time it has started and 37th time it has finished in Ensenada. In its 41st year as the world’s foremost desert racing organization in 2014, the five-race 2014 SCORE World Desert Championship series, with three special events held in Baja California, Mexico, and two in the United States, started with the Tecate SCORE San Felipe 250 on March 1. Starting and finishing in Ensenada, the 46th annual Tecate SCORE Baja 500 will be held June 5-8 and the third SCORE Baja race, starting in Ensenada and finishing in La Paz, the 47th annual Tecate SCORE Baja 1000 will be held Nov. 12-16. The two U.S. races on 2014 SCORE World Desert Championship calendar are the inaugural SCORE Imperial Valley 250 in Plaster City, Calif. (April 25-27) and the two-day, single-race Inaugural SCORE Desert Challenge, location TBA (Sept. 25-28). SCORE Dirt LiveHD, SCORE’s weekly Tuesday night internet studio show from El Cajon, Calif., also goes on-site live with expanded event coverage during SCORE events. Live event coverage in 2014 will include week-long live coverage of the entire five-race 2014 SCORE World Desert Championship which includes two races in the United States and three in Baja California, Mexico. The second Mexico event of the inaugural SCORE World Desert Championship will be the upcoming 46th Tecate SCORE Baja 500. Desert racing public address announcer and former racer George Antill is the executive producer and host of the popular show. A special segment most weeks is SCORE Tech Tips with SCORE Tech co-directors Jake Velasco or Art Savedra or SCORE Trophy Truck racer and prep-shop owner T.J. Flores. Additional SCORE Partners: Proturismo Ensenada, Visit Baja California Sur, Baja California Secretary of Tourism, Baja California Sur State Government, Mexicali Ayuntamineto, COTUCO Mexicali/San Felipe, Cruz Roja Mexicana, Corporate Helicopters, Instant Mexico Auto Insurance, GoPro, PCI Race Radios, McKenzie’s Performance Products and Advanced Color Graphics.